The 11th Century Lingaraj Temple is very famous. It is dedicated to Lord Shiva. 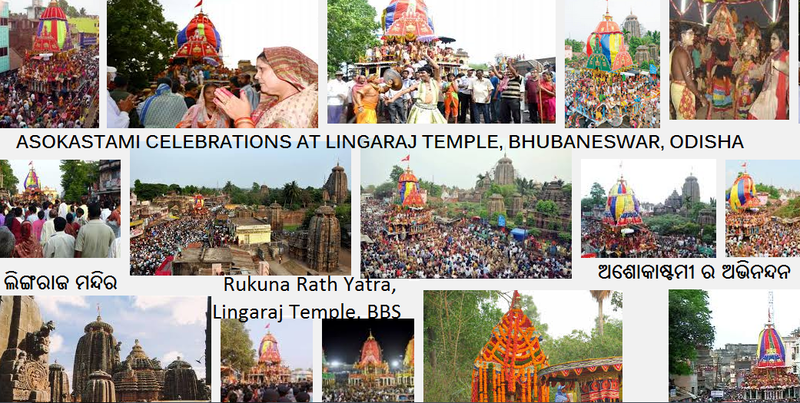 On Ashokastami, the Rukuna Rath Yatra of Lord Lingaraj is held. As per legend related to the Ramayana, when Lord Rama succeeded in killing Ravana by the grace of goddess, he became 'Ashoka'- i.e. devoid of 'shoka' or sorrow. Out of happiness, Lord Rama took a chariot out with Lord Shiva and Goddess Durga to celebrate his victory. It was the 8th day of the bright half (Shukla Astami) month of the Hindu month of Chaitra (March-April). Thus, the day is called Ashokastami. This year, it was celebrated on March 27th. Ram Mandir is a temple, in Bhubaneswar, dedicated to Lord Ram. 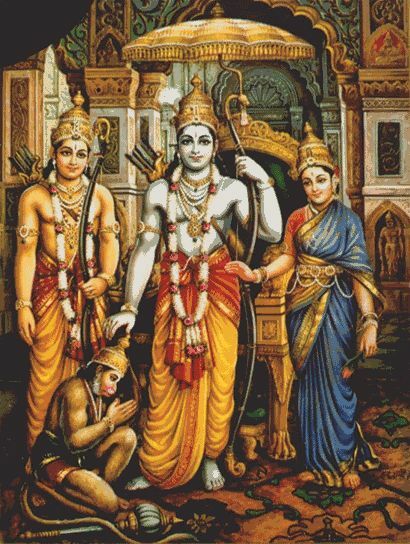 Ram Navami is the celebration of the birth of Lord Ram. This year, it was held on March 28th. Ram Navami was celebrated with religious fervour in Odisha. Have you visited Bhubaneswar, Odisha? Wow! So much information on the religious side of Odisha.I have visited decades back Bhubaneshwar and I recollect having gone to some temples, one on the outskirts of the city where someone explained the architectural beauty of the temple.I have only a vague memory. Great that you have visited Bhubaneswar before. I think you had been to the Shanti Stupa or Dhauligiri. It's located in the outskirts of Bhubaneswar. Lovely post! I did not know why it is called 'Ashokashtami'! Now I kno! :D Keep writing abt Odisha & Bhubaneswar......no number of posts will be enough 2 talk of all the wonders this soul of Incredible India has! May we all share what we know & spread knowledge & facts about Odisha and incredible India. Pleasure to have you on board! I never knew about Ashokashtami! Dear, I have a doubt, there is a belief that Rama killed Ravana on Vijayadashami of Sharannavaratri, i.e., in the month of Ashwina on shuklapaksha dashami. Almost entire north India celebrates Ramleela on that day right? It is also celebrated as the day of victory of Durga ma over Mahishasur as we all know. I am still scratching my head in confusion!! !